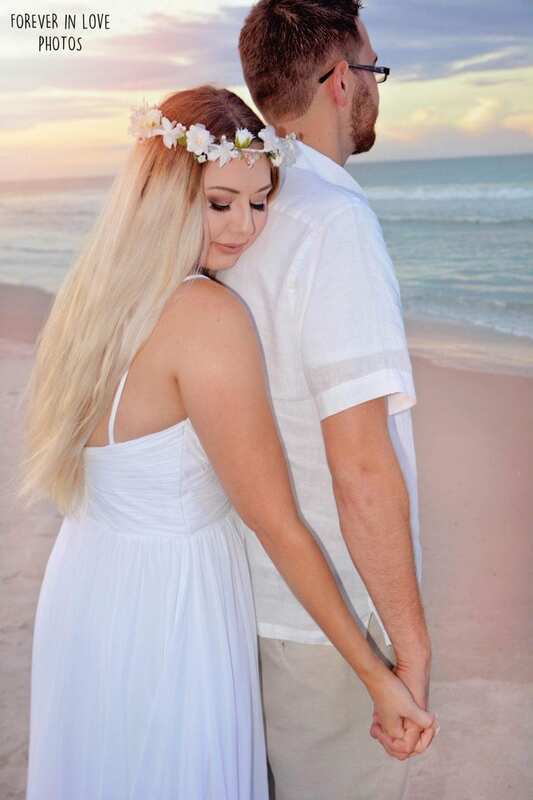 Choosing to have a beach wedding in Florida is a decision you won’t regret, especially if you choose one of our beach wedding packages. 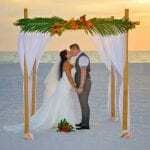 Why should you choose beach wedding packages over a DIYwedding? Beach wedding packages are ideal for many reasons. 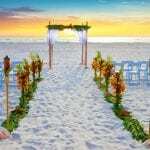 Beach Wedding Packages allow you to easily know the price for your wedding ceremony. Instead of having a price for the chairs, the delivery, the set-up, a separate officiant, a separate photographer, a musician, etc…beach wedding packages include all of this in one convenient price and one contact. Making it easy for you to keep track of all of the important details. DIY weddings add up and it gets difficult to keep track of where all the money is going. You get to know exactly how your wedding ceremony will look. With our many different photographs, you will know exactly what to expect when you arrive at the beach. There is no such thing as lack of communication! With our beach wedding packages, we know exactly what decor choices you want, leaving our beach wedding decor consistent and beautiful each time. Your client portal will have all of your wedding information in one convenient spot for you. Your contact, location address, selections worksheet and more. It will also keep a running balance for you, so as you make payments or add any optional additions, you will always know your remaining balance. 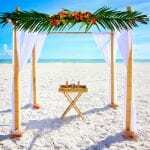 Beach Wedding packages are not only more convenient but end up being more affordable. 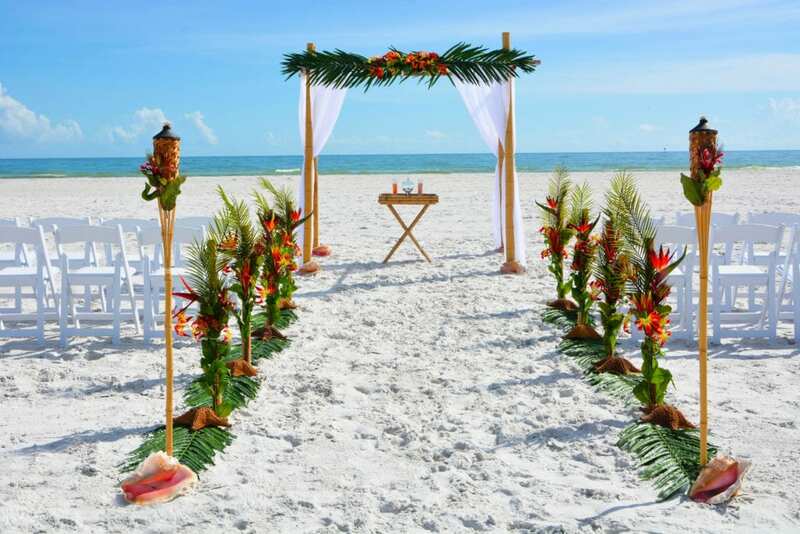 Start planning one of our beach weddings in Florida today. Contact us to reserve your wedding date.